Content in this travel guide is provided by destination specialists from across Africa. Amazing diversity - Africa is characterized by diversity and extremes. It has the planet's largest and oldest deserts, countless savannas, great rivers, vast lakes, snow-capped mountains, pristine wetlands, superb beaches and islands, remote forests, ancient volcanoes and vast expanses of wildeness and wildlife. The people of Africa provide warmth and spirit, vibrant rhythms, mystery and romance. Then there is the unforgettable excitement of safari. African Beaches and Islands - Africa’s beaches and islands include some of the best leisure and adventure destinations in the world. Scuba diving, coral reefs, sand and sunshine, spa resorts, boating and fishing activities provide something for everyone - families, honeymooners and adventure travelers. These National Parks and Game Reserves provide refuge for the rich legacy that is truly Africa - its wildlife and their habitats. From Amboseli to Zululand, the people of Africa provide warmth and spirit, vibrant rhythms, mystery and romance. Once visited, Africa leaves us forever changed, becoming a part of our spirit, our memories and our dreams. Explore all the reasons why Africa is a dream travel destination. There are accommodation options and travel services to meet all budgets and needs, from backpackers through luxury at its finest - with safari camps and lodges, international-standard hotels, spa resorts and luxury trains to provide all the comforts of home and much more. 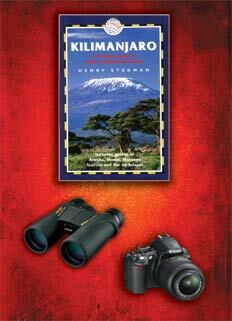 For the adventurer, rugged camping safaris and the most demanding of experiences are always available. Morocco: Morocco is located in the northwest of Africa, offering North Atlantic and Mediterranean coastlines. It has a rich history, dating back 4,000 years. Berber, Roman and Arabic influence play a strong role in architecture, history, culture and traditions. A large portion of Morocco is covered by mountains and the Sahara desert occupies most of the south eastern section of the country. There are a number of national_parks_and_reserves to enjoy, located in wilderness areas, deserts, snow capped mountain ranges and forests. Morocco is also a popular destination for meetings, incentives, conferences and events. Kenya: Kenya is internationally renowned for its wildlife reserves and safari tours, including Masai_Mara Game Reserve, where vast herds of wildebeest and zebra roam the savannas during the annual Great Migration. Other attractions include Mt. Kenya, Amboseli, Tsavo - and the spectacle of millions of flamingos of Lake Nakuru. Tanzania and the Spice_Islands: Tanzania is a premier wildlife and safari destination, with a wealth of parks and sanctuaries. These include Ngorongoro_Crater, the Serengeti, Selous, Tarangire, Ruaha_National_Park, Lake Manyara - with Gombe Streams and Mahale Mountains offering chimpanzee sightings in their wild habitats. The Tanzania shores and the idyllic spice islands of Zanzibar, Pemba and Mafia offer a fine selection of resorts for sun, sea and diving. Mount_Kilimanjaro, Africa's highest mountain, lies close to the equator in North East Tanzania. Uganda: The mountain gorillas of Africa are protected in only two countries in Africa - Uganda (Bwindi_Impenetrable_National_Park, also in Mgahinga_Gorilla_National_Park) and in Rwanda. Uganda offers strictly controlled gorilla treks for active tourists to view these great apes in their natural mountain habitat. Chimpanzees and other primates are another attraction of wildlife treks and birding tours in Uganda. Malawi: Malawi lies within Africa's Rift Valley and is a land of beautiful landscapes and friendly people. Lake Malawi's fresh clear waters run deep, filling a chasm in the rift valley 360 miles long and up to 52 miles wide. Golden beaches, bathing, snorkeling and boating, with sleepy fishing villages and resorts along the shores all add to the appeal of this hospitable country. Mozambique: Mozambique is defined by a long eastern shoreline running the length of the country. The sandy Indian Ocean beaches of the five tropical islands of the Bazaruto Archipelago provides one of the most idyllic beach destinations in Africa. Diving, fishing, sun and sand characterise this region. Namibia: Ancient dunes in shades of apricot tower above the desert landscape. The fabled Skeleton Coast provides a backdrop for adventure and wildlife in Namibia's wilderness. The ancient Namib Desert encompasses much of the coastal region - including the mysterious diamonds_of_the_Sperrgebiet_(forbidden_zone). Include an exciting fly-in safari to Etosha_National_Park in your itinerary. Botswana: Safaris in Botswana are characterized by small camps and lodges in private and uncrowded reserves. Off-road, river and water-based safaris add to the adventure. Chobe National Park has the largest concentration of elephants in Africa and the Okavango Delta is one of Africa’s finest wildlife destinations, attracting birding, fishing and safari enthusiasts. South_Africa: South Africa's modern_cities, infrastructure, wildlife and natural attractions make it a perfect vacation destination. Cape_Town's many attractions include its colorful people, shark cage diving, the splendid mountain backdrop of Table Mountain, Cape Town's beaches and summer sunshine. With many world class hotels and restaurants, South Africa's conference venues attract many international events. Scenic mountain ranges, hidden coves and endless sandy beaches define a region of paradise known as the Garden Route. Adventure activities along the Garden Route include forest canopy tours, mountain hiking and one of the world's highest bungy jumps. Zambia: Zambia is home to walking safaris, Victoria_Falls, canoe safaris on the Zambezi River and to magnificent wildlife reserves. When the Zambezi River is in flood, Victoria Falls is the largest waterfall in the world. The Falls combined are almost a mile wide (over 1½ km) with a drop of over 360 feet (108 meters) into the gorge below. Zimbabwe: This nation has had its share of political and economic turmoil, which has had a significant impact on tourism. Wildlife reserves still rank among the best in Africa and the country shares the world's largest waterfall - the Victoria Falls - with it's northern neighbor, Zambia. Victoria Falls is frequently referred to as the adventure capital of Africa. The African continent atraddles the equator. When it's winter in the Northern Hemisphere, it is summer south of the equator. Africa’s beaches and islands include some of the best leisure and adventure destinations in the world. - breathtaking scuba dives and snorkeling: the Spice Islands and KwaZulu-Natal. - surfing the perfect wave in the Eastern Cape, South Africa. Many of Africa's primary commercial and industrial hubs provide international airports, deluxe hotel and resort accommodations, a broad range of superior trade show and conference facilities and a robust infrastructure. The range of venues for corporate and private events is even more extensive, hosted by a large number of superior hotels, lodges and resorts throughout our African destinations. 10 Feel adrenaline rush when you meet Africa's wildlife face-to-face on a walking safari.